Sources of renewable energy—namely hydroelectric, geothermal, wind, biomass, and solar power—have long been in place in the country, albeit underutilized. While the Philippines is still largely dependent on fossil fuels, a non-renewable source, trade giants and environmentalists alike are recognizing the advantages of using at least one source of renewable energy in the Philippines: solar power. The Philippines, being seated near the equator, catches almost 12 hours of sunlight in a day. The sun, the earth’s most copious energy source, can produce 173,000 terawatts of solar energy every second, which is around 10,000 times the world’s total combined energy use. With this potential, can solar panel installation infiltrate the industry and be used to meet the energy demands of Philippine households and businesses, while also lowering the country’s non-renewable energy consumption? What is the science behind solar energy? Solar energy uses solar panels to convert sunlight into electrical energy. When sunlight hits a panel, it is converted to a direct current that flows to an inverter. The inverter then converts the direct current to alternating currents. This is the energy that is used to power your home. Photovoltaic (PV) solar panels are composed of multiple solar cells made of silicon, which functions as semiconductors. It is built with a positive layer and a negative layer. Similar to how battery works, the combination forms an electric field. Can solar energy meet my home energy needs? The electricity solar panels generate during peak daylight is typically more energy than a household consumes. The excess energy can be redirected back to the grid and transferred to other power lines. During the night times and cloudy days, consumers can still benefit from solar power through the government-implemented net metering system, a non-fiscal incentive scheme under the Renewable Energy (RE) Act of 2008. Under this scheme, customers who share the excess energy generated by their solar panels are entitled to draw from the conventional grid when needed. How does using solar energy generate savings? A swap to solar reduces the emission of carbon dioxide from burning fossil fuels, which is the conventional source of energy. This is a major perpetrator of global warming and decreased air quality. Aside from environmental benefits, there is also money-back privilege in compliance with the Renewable Energy Act of 2008 authored by Philippine Senator Juan Miguel Zubiri. The Net Metering Program enables users to rely on solar energy and sell the excess power generated and credited from their electricity bill. Also, the law provides an income tax holiday for the first seven years of commercial operations for business establishments who switch to solar power, a low corporate tax for the succeeding 25 years, and zero value-added tax. Does the solar industry have a future in the Philippines? “From what used to be just 22 renewable energy projects, we now have 406 projects, either already built or being constructed,” Zubiri told CNBC in an interview. The shift to renewable energy systems has also produced about three million jobs for engineers and construction workers. “It’s a booming industry,” the senator assures. 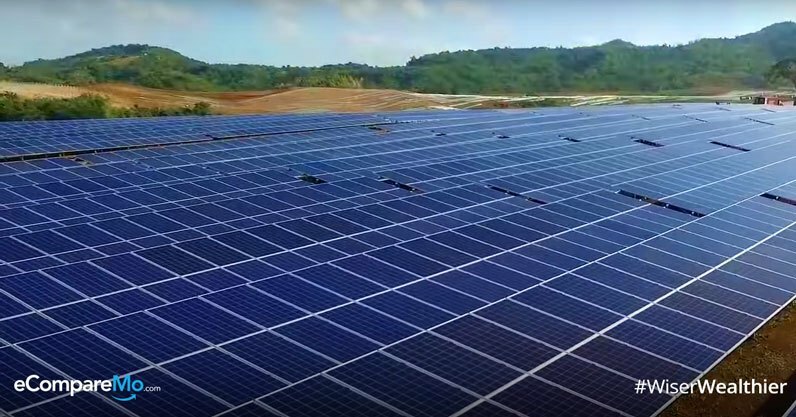 Even power provider goliath Manila Electric Co. (Meralco) is in a quest to include more solar energy to their power supply. As of December last year, they had closed three solar power supply deals. Two of these were will Solar Philippines Tanauan Corp. for 50 MW at P5.39 per kilowatt hour, and the other was with PowerSource First Bulacan Solar Inc. P4.69 kwh. Meralco is still looking to add 100 MW of additional solar power capacity to their portfolio and to that end, have announced that they are seeking price challengers for a looming solar power supply offer of 50 megawatts (MW) in compliance with the competitive selection process (CSP) policy. According to the announcement dated December 25, Pangasinan-based solar power plant Pilipinas Newton Energy Corp. had submitted an offer of 50 MW at P2.9887 per kilowatt-hour (kwh) for 20 years to Meralco. Meralco was seeking price challengers to the offer from Pilipinas Newton. As of February, the offer from Pilipinas Newton was undergoing competitive selection process with the Bids and Awards Committee. It is also worth mentioning that the Philippines ranked first among developing countries in Asia in terms of the use of solar photovoltaic systems, according to Dutch firm Solarplaza. The Philippines also ranked fifth worldwide. “The [Philippines] is still relatively young when it comes to solar development but was able to get seven active projects ranked in the top 50 list,” research analyst Marco Dorothal for Solarplaza reported. One of the newest projects and a step toward industry advancement is Solar Philippines solar-battery micro-grid project in Paluan, Occidental Mindoro. Completed just this March, the project is the largest solar-battery micro-grip project in Southeast Asia. It is also the first project in Asia to utilize the latest in Powerpack technology from renowned electric vehicle manufacturer Tesla Motors. The solar panels for the project were provided by Solar Philippines, the first Filipino-owned solar panel maker, based in Batangas. The microgrid uses solar panels, with backup diesel-generators, to produce energy for Paluan. Paluan is a third-class municipality with a population of 16,000. It has been suffering from power shortages for decades. The new hybrid system uses mostly solar power to provide electricity to the area for as little as P9 kWh, which is lower than half the current cost of the power the town was getting from the national grid.